Top 10 Scary Things About Distance Running….. and How to Overcome Them! Hi WDW Radio Running Team Members (and future Team Members)! My name is Happy Keller, a ‘Coach’ of the WDW Radio Running Team, and this is the Blog for October 2012. [Joe] I’m a real back of the packer that’s made every dumb marathoning mistake one can make…so do as I say, not as I do! [Steve] In the spring of 2007, I was a 48 year old couch potato. My first race was the 2008 WDW half marathon. Now I am looking forward to my 5th Goofy Challenge in a row in 2013. [Happy] Before I was lucky enough to be allowed to help the WDW Radio Running Team members, I already knew of Steve from several WDW Radio shows with Lou. After receiving e-mail from several of our team participants, I would say that Steve has “Legend” status among those who have met, and run with, him. [Brian] Hey everyone! My name is Brian and I joined the WDW Radio Running Team in 2010. I started out running just wanting to lose weight, but then found the team and have enjoyed getting involved supporting the Make-a-Wish foundation. Sixty-five pounds and seven runDisney events later I am still having a great time! I like that everyone on the team is so supportive and you’ll find everyone from those walking 5Ks to those running Boston, ultra marathons and Ironmen. It’s a truly diverse and accepting group but enough about me/us! [Happy] One of the most enthusiastic of our team members, Brian decided that 26.2 miles in a single day just wasn’t enough…so he’s taken to running Ultra Marathons. You “Go For It!” Brian…a Goofy Challenge over two days is enough for me! Well – you need to COMPLETE 26.2 miles – but every step of the way doesn’t need to be at Kenyan speed. Keep things simple – one foot in front of the other, and you’ll get to the finish line! [Happy] Just seeing the Marathon distance printed out as “26.2 miles” makes me sick to my stomach sometimes…boy, that’s a long way!…I can do it (and so can you), but I always respect the distances we run. #9 – [Steve] Speaking of being sick to your stomach, that leads into fear #9 on my list. One of my biggest concerns going into a race is how my stomach’s going to feel after running a few miles. I try to eat around 5pm the night before a race and try not to overdo it with large portions or spicy food. When I wake up on race day I will eat an energy bar and a muffin and then another energy bar about an hour before the race. During the race I will eat some Gu and Shot Blocks along the way along with Powerade, water and bananas. #6 – [Steve] Fear #6 for me involves race strategy. No matter how many times I tell myself to start slow and keep a slower pace for the first half of a race or long training run, I think I feel great after the first mile and think that this could be the day that I set a new world’s record! I’ve been working on this on my long weekend runs and have found that I can enjoy my last miles at a faster pace if I cut my pace back around 1 min./mile in the first half. It feels a lot better physically and mentally when you feel good and are passing other toward the end of a race rather than crawling past the finish line. [Happy] – I agree with you wholeheartedly that this is a big area of fear for endurance athletes of all experience levels. As a Run / Walk person, I set up my segments on Event Day to be less run / more walk for the first 20 minutes. That way I force my overall pace to be slower at the beginning of the Event. #5 – [Brian] I have a fear of those three letters some may not recognize…DNF which stands for “Did Not Finish”. While “getting swept” or being pulled from the course because I can’t keep a minimum pace is one way to look at this the DNF I’m speaking of is due to some other ailment whether it be stomach issues, migraine, or worse some kind of injury. I’ve only come close to a DNF once and if I hadn’t had a friend with me to make me take it slow and push me to finish I may have taken a ride from the nearest passing medical golf cart. After racing a while I realize that DNF doesn’t stand for “Did Not Finish”. It really stands for “Did Nothing Fatal”. There are a lot of races/events I want to do at Disney and around the world, so any one race isn’t worth a big injury that may put me out of running for a long period of time or worse out of running permanently. So if you ever have to DNF because of a twisted ankle or just “the runners trots” (See other posts for an explanation or google it) have no fear. DNFing on one event just means you get to the after party that much quicker! There is no fear in giving it your all and failing exceptionally well! Running Clothes – Unless you are in a costume (and please be extra careful about potential chafing if you are running in costume), other runners are not going to notice how you’re dressed – they are too busy thinking about how their race is going for them. The family and friends of people running will only be hunting for their loved one(s) in the pack (a tough job when trying to find one person in a pack of 20,000+). Of course, if you’re part of the WDW Radio Running Team “Blue Wave”, people might come up to you to ask if you are Lou or Beci! Running Style – Don’t worry about how you run! Once you get out there on the course, you will realize there are 20,000 different valid running styles among the 20,000 runners (except for mine…my running style is a disaster [but it gets me to the Finish Line]! 😉 ). Answer: Usually, yes. But that’s what we as marathoners sign up for. It’s the last 10 kilometers that makes this race special. So instead of fearing The Wall, look forward to it and prepare for it. Make sure you take the proper fuel at around mile 18 (or sooner, as per your training runs), and you’ll bust down that wall on your way to accomplishing an amazing accomplishment. [Happy] No matter how we do this, we are going to end up with more than a “Top 10”! Since the price of electronic ink is getting expensive, I want to ask each of you for your #1 item. Brian??? #1a – [Brian] One of the scariest things about long distance running for me was…duhn DUHN duhn (that was supposed to be ominous)… “Finishing Last”. But why? Well, probably because for the first race I ever entered after I started running in December 2009 I did exactly that. I came in dead last. No one else is behind me! They are closing the course! Pardon me sir, but do you need a ride? This really shouldn’t have bothered me because it just doesn’t matter. I look back and chalk it up to male ego now. As a friend of mine once said, “99% of us are at no risk of winning this thing.” And most important of all I still received the same finisher’s medal, or ribbon rather, as the girl who finished ahead of me. I also received the same ribbon as every other person who ran the race except the top three people. Their “medals” were different colors than the rest of us “finishers”. That was the only difference. As I crossed the finish line everyone cheered, applauded, and yelled “good job” or “nice finish” in total support of the “loser” which I really wasn’t because I was only competing against myself. #1b – [Steve] My #1 fear is not getting up on time on race day. I’m an easy going guy when it comes to just about anything but when it comes to punctuality I am a total spazz. The night before a race I will have all my clothes laid out, race bib pinned on my shirt and my favorite socks and watch tucked in my shoes. I arrange a wake up call from the hotel, set the alarm on my iPhone and have my wife set the alarm on her phone. After all that preparation, I usually am up before any alarms go off. I can’t sleep! I have a bus to catch at 3 am! [Happy] – I always have the Disney Resort (or other Hotel) give me a wake-up call (in addition to Steve’s tremendous suggestion of having multiple alarm clocks). Even if you can’t sleep, you are better lying down and resting than being up reading or watching TV. #1c – [Joe] One of the scariest things that new marathoners fear is the aftermath. I’ve heard this one a few times: “I’m afraid that I won’t be able to walk the next day. How bad will the pain be in the morning?” Well – let’s start by saying that it’s a marathon. So it’s not easy, and you have to sacrifice. So when you sign up for one, there will be some pain / discomfort. However, this can be managed by a smart recovery process containing an ice bath, some stomach-friendly food and some yummy (yes I said yummy – tease me all you want because I’m already ridiculing myself for that one) chocolate milk. And rest. Lots of post rest! Steve – Happy – Brian: any other post race tricks to ease the pain? [Steve] I learned a trick from a fellow runner after a marathon a couple of years ago. If your legs are hurting after a race, walk backwards down the the bus steps or in the park. You’ll look like a dork but it your legs will thank you. [Happy] I’m going to steal from Lou (again) and say “Keep moving forward!” One of the best things you can do after a Half / Full Marathon is to not just sit around and do nothing for the days following your Event(s). 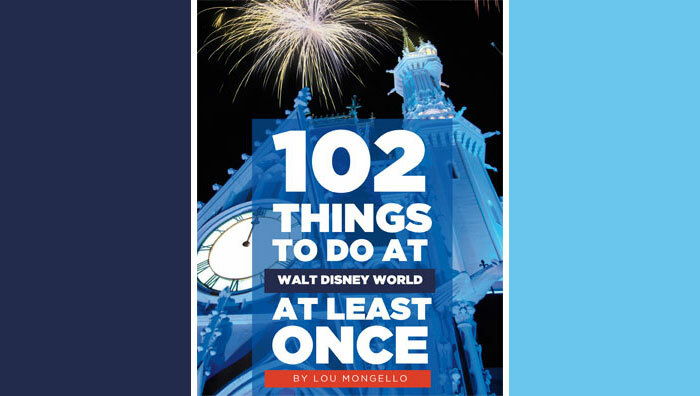 So, you just finished a Half / Full Marathon, and you are at Walt Disney World…where can one walk around and recover??? Hmmm…Get up, and drag yourself through any / all of the Theme Parks. If you are hobbling, others will be very understanding if you are wearing your medal(s). 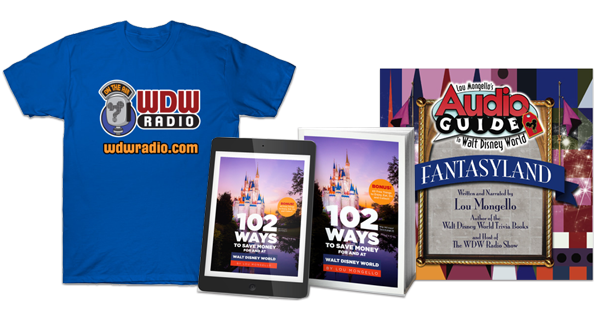 #1d – [Happy] “I’m afraid that the other members on the WDW Radio Running Team won’t like me!” – Are we really that scary??? Trust me, we really aren’t!!! In fact, we’d love to have all of you join us at a future runDisney event. We have a lot of fun together, and (most of us) will even hug you after your event while you’re still sweaty! Please come to http://www.wdwradio.com/running to find out how to join the WDW Radio Running Team. Our team benefits The Dream Team Project, which raises money for The Make-A-Wish Foundation of America. Help us make dreams come true for others while you live out your dreams! I want to thank my esteemed guests, Joe Kolinsky, Steve Drew, and Brian Johnson, for taking time out from their training to help me write this “Top 10”! Thank you for reading this “Top 10” Blog! Next month’s Blog topic → “Top 10 Ways To Use Turkey Legs In Your Endurance Training”! Happy is a life-long Disney enthusiast who is also an endurance “athlete”. He has completed a Half & Full Ironman Triathlon, 4 Goofy Challenges, and 12 Disney Endurance events so far (in addition to other Half / Full Marathons). He has successfully coached hundreds of Half / Full Marathoners to a successful completion of their event (including multiple Boston Marathon qualifiers). When he isn’t training, Happy is surrounded by his wife, Pattie, two Golden Retrievers (Mocha & Kona), and his Disney watch + medal collection. He can be reached for all running questions at wdwradiorun@gmail.com.